Fertilizer consumption has increased threefold during the past 30 years. It reached one million nutrient tonnes in 1980/81, two million tonnes in 1992/93 and three million tonnes in 2002/03 (Figure 4). Nitrogen accounts for 78 percent of the total nutrients, phosphate for 21 percent and potash for less than one percent. The average N, P2O5, K2O nutrient ratio between 1999/2000 and 2001/02 was 1:0.28:0.01. Fertilizer requirements in the country are met from both domestic production and imports. Currently, there are 14 production units, with a combined design capacity of 2 233 thousand tonnes of N and 239 thousand tonnes of P2O5. The annual production capacities are as follows: urea 4.3 million tonnes, DAP 450 thousand tonnes, CAN 450 thousand tonnes, NP compounds 305 thousand tonnes, SSP 180 thousand tonnes and for NPK compounds 100 thousand tonnes(total 5.78 million tonnes). The overall capacity utilization varies, but it is always more than 100 percent in the case of urea. Prior to 1980/81, the country imported well over 50 percent of its annual fertilizer requirements. However, the situation changed following the expansion of the local industry during the 1980s. Figures 5 and 6 illustrate the development of domestic production and consumption of nitrogen and phosphate fertilizers during the period from 1981 to 2003. Nitrogen production has the advantage of domestic natural gas resources. Imports as a percentage of deliveries for the last five years (1998/99 to 2002/03) averaged about 11 percent for nitrogen and 72.5 for phosphate. Urea has not been imported for the last three years; 46 thousand tonnes of urea was exported in 2002/03. The total imports of the different products during the past three years were: DAP 940 thousand tonnes, SOP 18 thousand tonnes, MOP 11 thousand tonnes, AS 23 thousand tonnes, NP 34 thousand tonnes and small quantities of NPKs. Total imports thus amounted to about 1.1 million tonnes. The consumption of fertilizers in Pakistan is determined by geography, weather (water availability), prices and the timely availability of the various products. Punjab has the largest agricultural area and therefore consumes the greatest share of fertilizers, followed by Sindh, NWFP and Balochistan, in that order. Seasonal deliveries are split between Kharif and Rabi seasons. In Kharif 2002 deliveries amounted to 1 384 thousand tonnes of nutrients and in Rabi 2002/03 to 1 634 thousand tonnes of nutrients. On a three year basis the share of urea was 65.8 percent, DAP 18.0 percent, NP compounds 5.5 percent, CAN 5.7 percent and 5 percent of various other fertilizers (Figure 7). November, December and January are the main Rabi months and account for 35.5 percent of the total nutrient deliveries in the year. For Kharif, the main peak months are June, July and August accounting for 32.6 percent of the annual deliveries. On a three year basis, the percent of deliveries in each month of N, P2O5 and K2O is presented in Figure 8. The forecasting of fertilizer demand is effected using econometric as well as agronomic techniques. It is projected that over the next 10 years fertilizer nutrient consumption will grow at the rate of 2 to 3 percent per annum. The government has privatized and deregulated fertilizer imports and prices. In 1986, all subsidies on nitrogenous fertilizers were abolished followed by phosphates in 1993 and potash in 1997. Provincial quotas were abolished, provincial supply organizations in the public sector abandoned and import controls were lifted. All imports are effected by the private sector. In 2001, the government imposed a 15 percent general sales tax on all fertilizer products. Farmers have to pay international prices for imported products, apart from urea. 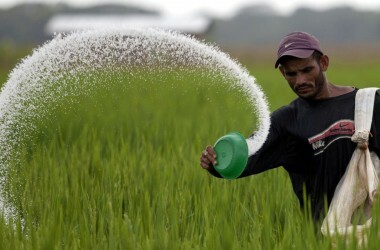 The share of the private sector in fertilizer marketing is 89 percent, compared to 11 percent for the public sector. The private sector handles about 90 percent of the urea and 100 percent of the DAP, the two major fertilizer products consumed in the country. A dealer network of about 8 000 retailers exists in the country. 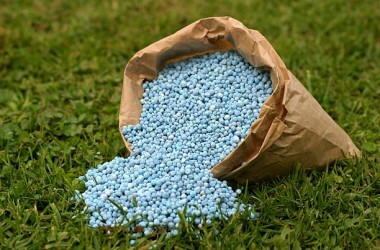 Fertilizer companies select and train the dealers. There is no government intervention. However, under ‘Fertilizer Acts’ promulgated by provinces, fertilizer quality is monitored by the provincial governments.